Those of you who are regular readers will know that for many years now my own system has been fronted by a pair of Loth-x Polaris horns. These twisted my listening preferences to such an extent that I now find few multi-driver speakers to my taste. I've been totally convinced by the wide-band proponent's argument that the fundamental elements of music need to be portrayed by a single driver running with no crossover. That in effect means one driver ideally covering 100 - 10,000 kHz. Beyond those extremes is 'window dressing' in comparison. It's an extreme statement and I'm being deliberately provocative, but the majority of commercial speakers put their crossover somewhere around 3000 Hz for the simple reason that most reasonably priced tweeters struggle below that frequency and most woofers above it. That crossover point, where two totally different drivers have to integrate, and where the effects of the crossover are the greatest is smack bang where the most important elements of music reside, and it's a problem best avoided by running one driver through a much bigger range. The snag of this is of course that a driver capable of running 100-10,000 Hz is a rare beast indeed and inevitably expensive. Running that same driver from 50 Hz (with the aid of a horn) to 20,000 Hz seems almost unfair to ask, and yet my own Polaris pull off the trick with great aplomb. But what happens beyond 20,000 Hz? "Oh you can't hear that" I hear you cry, and in truth my own 49 year-old ears are probably struggling over 16,000 Hz - so unless you've the ears of a bat what is the point of going further? Many years ago I read (and no I can't find a reference) about a series of experiments where Marantz tested peoples ability to distinguish different cut-off frequencies in musical reproduction. Now if the ear has an upper limit of 20 kHz then the experiments should have shown that any extra information would be inaudible and thus adding it was a waste of bandwidth. But that's not what the results showed. 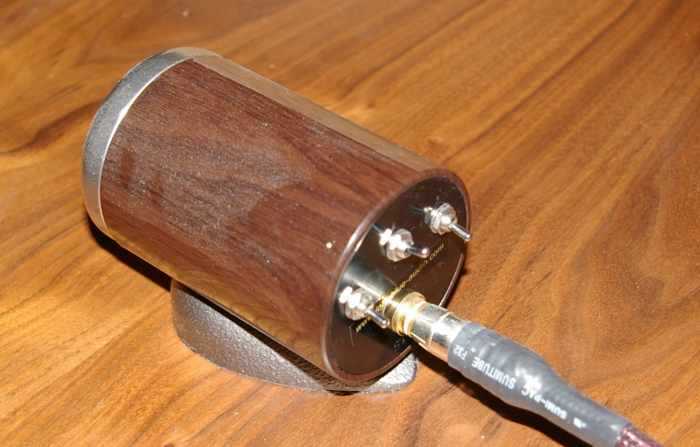 In fact listeners could reliably distinguish between musical samples with cut-offs up to 80 kHz! Not only did this blow a hole in the CD blue-book standard, but also begs the question 'how' especially as not only could listeners sense the increased upper cut-off, but actually preferred the sound produced. Now this isn't the place (and I'm not qualified) to discuss the intricacies of the effects of high-frequency waveforms on the audible spectrum; but even a klutz like me can see that if you run an 80 kHz signal and a 20 kHz signal together, the 80 kHz signal will 'beat' with, and sum the 20 kHz signal once in every four waves if in phase, or subtract if out of phase. Given that simple example it seems perfectly logical that the interactions of inaudible signals with audible signals will have an effect on what we hear. And of course ALL instruments will have harmonics that go way beyond the audible spectrum. Thus it's hard to see how those upper frequencies can FAIL to effect things like phase, timing and timbre. It is this effect that meant that when the specifications for new formats were finalised one important parameter was a much higher upper frequency cut off. Likewise amplifiers boast wide bandwidths to match, and of course vinyl enthusiasts will gleefully point out the extended high-frequency balance of their antique black discs. Which brings us back neatly to the limitations of those wide-band drivers - none of them is going to be happy up at 40 kHz, and to be honest nor are many dedicated tweeters. In effect all that extra bandwidth will be lost as the speaker simply cannot reproduce the highest tones. The answer is a specialist driver called a supertweeter. It's not a new idea, people have been giving full-range drivers a helping hand with the top octave for many years using a dedicated tweeter, but for the most part these have merely been used to fill in the falling response between say 10 and 20 kHz. More recently such supertweeters have reached to the stars and claim to produce accurate sound way beyond the limit of our hearing. The JohnBlue supertweeter is just such a beast, claiming a frequency response to 40 kHz. Recently I reviewed the JohnBlue JB3 and used the word 'exquisite' to describe their build quality. That same word could be used here. 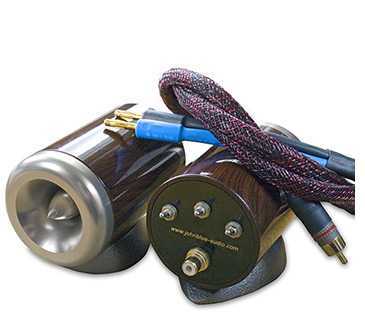 The supertweeters are beautifully and very substantially built with a turned alloy flare and phase piece with a tubular body hiding the crossover and driver magnet. At the rear, three toggle switches control the crossover (more on this later) and the signal comes into the unit via a quality phono plug. The whole thing just sits on top of whatever main speaker you choose and in my opinion it looks very classy there. If your speakers have a curved top surface then you are in trouble. For those out there worrying about the corrupting effect of placing a crossover between the amp and their purist full-range driver - fear not. The JB takes the signal from the main speakers binding posts - the output of the main speaker is totally uneffected, the supertweeter working completely independently using its own crossover controlled by three switches. "The Super tweeter comes with specific crossover and frequency control settings, with the frequency cut off points at 14 kHz and 17 kHz. Depending on the genre of music and type of speakers, the 3 sets of switches can be toggled ON and OFF in a myriad of 8 different combinations (2 at 14 kHz and 6 at 17 kHz). Each combination produces different SPL and High frequency volume. 1: when ALL 3 switches Toggled ON, the frequency cut off will be lower but High frequency volume and SPL will be at its highest. 2: when ALL 3 switches Toggled OFF, the frequency cut off will be higher but High frequency volume and SPL will be at its lowest." To aid the confused there's a postage-stamp sized frequency graph showing various curves, but which is impossible to read and certainly doesn't answer the question. The British importer has thankfully enlarged and tried to enhance the graph to give some idea, reproduced below and see http://www.itemaudio.co.uk/johnblue_supertweeter.html, which is rather clearer butthey admitted that they too had to just fiddle with switches until they got the desired result. Now we get to a small problem. CD has an upper limit of 20,000 kHz, and so there will be no extra ultrasonic music-related output regardless of the switch position using this medium. In which case what the supertweeter is doing is bolstering the audible range up to 20 kHz. As I don't own an SACD player (and the format is dead anyway) that puts me in the same position as the vast majority of users. So placing the supertweeters on top of the Loth-x Polaris I began the faffing about with switches to try and get the best from the little beauties. And here a note on compatibility. The Polaris claim an efficiency of 104 dbl which is simply ludicrously high - the JBs, flat out, are circa 98 dbl efficient. If those figures are accurate then the JB will simply be swamped by the much higher output (4 times) of the Polaris. The Polaris also run up to 20 kHz pretty well, I never found them wanting in that area. The result was what you'd expect - the supertweeters made hardly any difference to the sound. With all switches 'on' they did add a hint of sparkle to the top end, but quite frankly in the context of ultra high-efficiency speakers the results were marginal. Moving the JB's to the listening room there sat a pair of speakers that could have been made with the supertweeter in mind, in the hulking shape of the Opera Audio M15's. These squat monsters run a big compression driver from 1000 hz all the way up to 20 kHz, in effect another wide-range speaker but this time using a totally different technology. That compression driver works through a wide, flared, front-facing horn and is bolstered with a 15" bass driver, it's a classic configuration and one that I've frequently seen with a supertweeter mounted. In this case the compression driver gets no help and that 20 kHz must be really pushing its upper limit. In addition the speaker is rated at a claimed 96 dbl so absolutely bang-on the range in which the supertweeter should operate. So I wired it in and it was once again a very pleasant visual match, but this time the results were very different. I'd left the settings at Max from the previous setting and I can tell you that 10 minutes of that would send me to the medicine chest for the aspirin. The sound was far too bright, glassy and tinny, pushing cymbals etc well to the fore - sibilants slicing through your eardrums. So now at least I had something I could work with. There followed a long session of leaping up and down, swapping discs and flicking switches. In the end I settled for a setting with only the centre switch 'up', which if I read the graph correctly equates to a 14 kHz crossover and the lowest output (but I could be completely wrong...). So obviously you can overdo the treble boost, but what about the effects of the supertweeter when properly adjusted? The M15's have a charming, warm character as well as the ability to rattle everything in a room. Measuring them showed that they were a little shy in the treble from 10 kHz, not massively so, but something that helped that gentle feel. The supertweeter added sparkle, not just the odd 'ting' as you might expect, but a feeling of more energy in a broad swathe of the treble. If overdone this was wearing, but just like setting up a subwoofer you want to JUST be able to hear the effect - after a while you forget it and just listen to the music. It's only when you take the JB out of the system that it feels like the music has stepped away from you - small treble detail lost and the diction of some lyrics lost in the background. I have to say that in the case of the M15's the result was wholly positive. Occasionally a bright recording, especially the harshest recent - overcompressed Cd's you'd get up and just flick that middle switch off, but then you were really 'slugging' the system to cover for appalling recording techniques. All this was using the AudioNote CD player, mainly because it's so convenient and easy when swapping discs and crossover settings about. So that means the supertweeter is acting solely as a prop for the M15's compression driver. But now, happy with the overall balance I started to play with my first love - vinyl. For the first time the 'window' available to the supertweeter would be well beyond the area that the M15 unassisted could manage. The result here was fascinating in that I was strongly reminded of my first experiences with a really good subwoofer capable of infrasound. Though the supertweeter was boosting audible frequencies no more than with CD, now the ultrasound was getting a big lift. And just as with a sub the single biggest difference was the effect on the atmosphere and ambience of the sound. Putting on Madonna's 'I Love New York' there is a lot of traffic children shouting in the beginning. On CD this is just flat, on the vinyl the result is the feel of being on a New York street, vinyl + the supertweeter really drew you into the scene and made what could be dismissed as a bit of kitsch trickery into an integral part of the song. Yes as with CD the detail level and bringing forward of percussive sounds was there, but on vinyl another level of hi-fidelity was grafted on. This was repeated on many discs, though sometimes the result was disappointing and I strongly suspect that the disc itself was bandwidth limited. But accepting that, on discs that did show a difference the improvement was consistent through all genres and the better the recording the more satisfying the effect of the supertweeter. I wonder if the reason that the effect of a true sub and supertweeter are related is that both preserve the 'beating' of inaudible sounds with audible sounds - who knows? Here I could whitter on about the skin of Joe Morello's snare on 'Take Five' and the sound of John Bonham's kick-drum at the bottom of a stairway, or the huge space around the "You!" on Bowie's "Time" but I'd be showing off and basically repeating the same thing. but overall I have to say that if I owned the M15's I'd be very tempted to add the JB even if I only played CD, and for the true audiophile the effect was much greater than a similarly priced cartridge upgrade (and far more permenent), and it must be remembered that here the supertweeter was being matched with some very expensive speakers. Apart from the gripes about a decent manual, the supertweeter really won me over. It's not really worth it when combined with ultra efficient horns such as Lowthers and their ilk, but then they are such a minority it's hardly relevant. In the real world of speakers the JB has a great deal to offer. 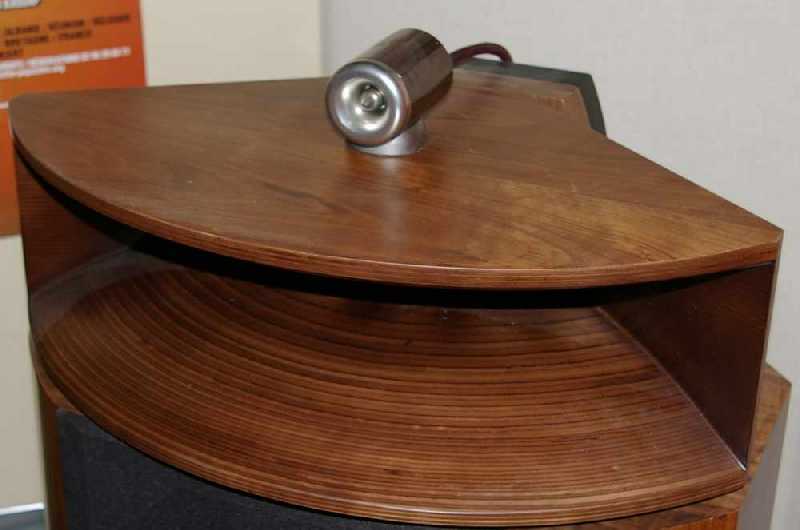 If you feel your speakers could do with a lift then they would be well worth trying, but if you use a wide-band source, and for most of us that means vinyl, then the supertweeter offers even more. Though SACD and DVD-A are dead I don't think it'll be long before all releases will be available for download at much higher band width than offered by CD, and in this case the superiority of speaker combinations capable of rising above 20 Khz will be even more marked. The JB not only allows that 'reach' with most speakers, but is also built so well, and is so attractively packaged that even when you upgrade/change your speakers I suspect the supertweeter will be retained for the replacements. That it is cheaper than many of its competitors is icing on the cake. It's a long-term purchase and I always like that in a product.